This was a weekend that featured my husbands birthday and therefore one that had been planned for a while, about 8 months in fact! 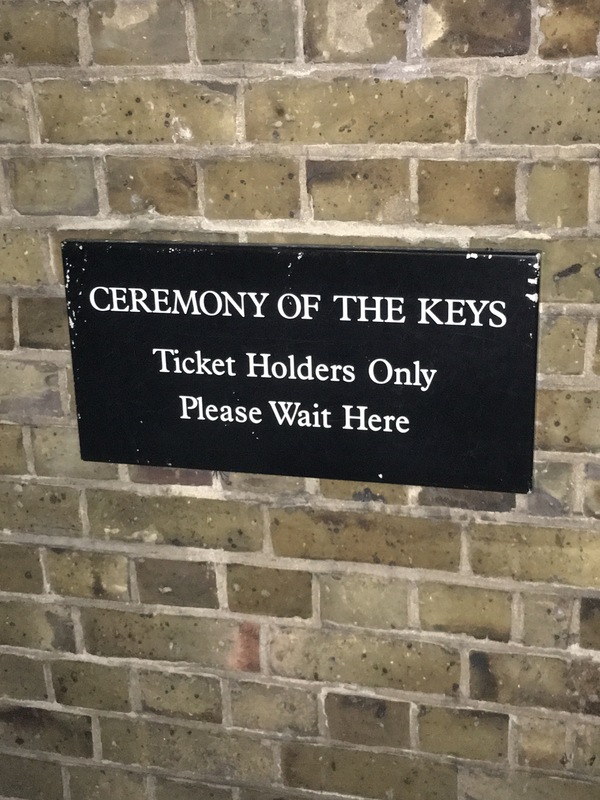 Some years ago I missed out on a trip to the Ceremony of the Keys with work and from that moment it went onto my bucket list. I finally got round to booking it 8 months ago, it sells out quickly! 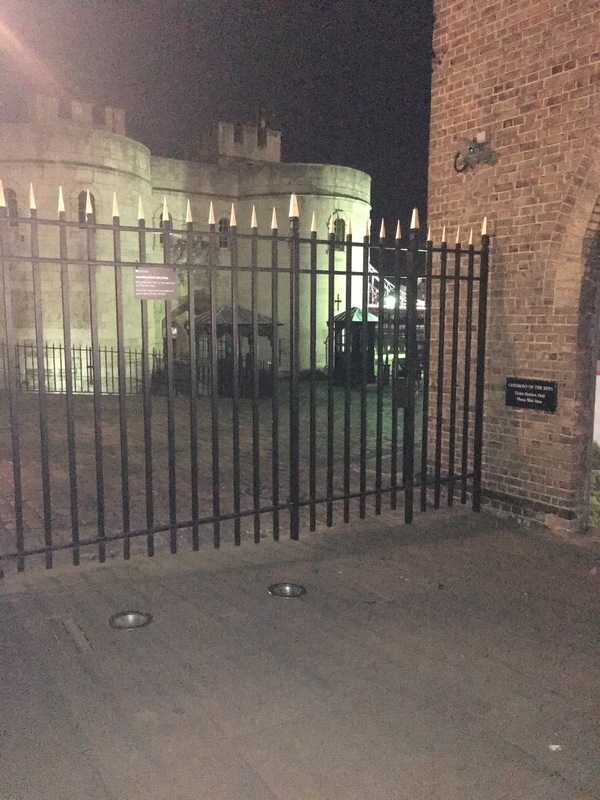 The Ceremony of the Keys is the nightly locking up of the Tower of London. It happens every single night of the year and has done for over 700 years. Back in the 1800’s it became the event it is today and it hasn’t changed since then. 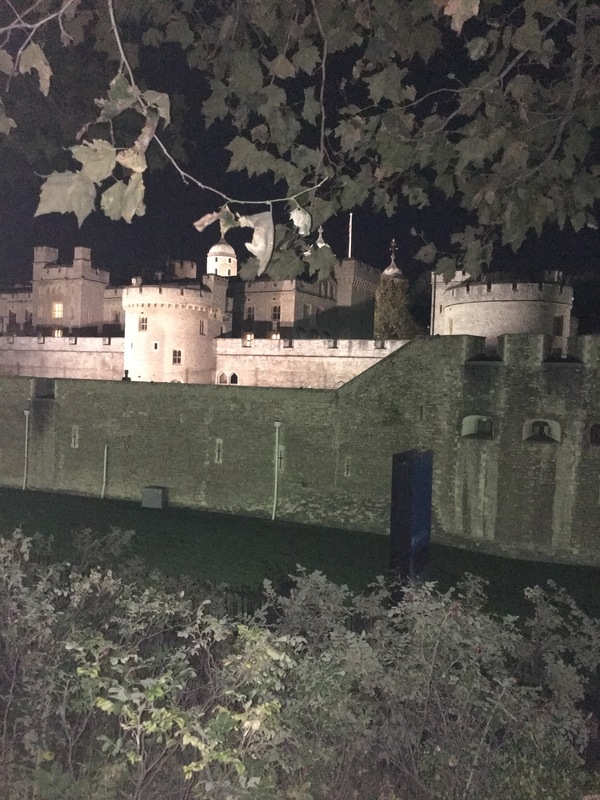 Apparently it very nearly didn’t happen one night when a bomb fell on the Tower. But instead they managed to complete it 9 minutes late. Legend has it that the King was none too please with the delay! Everyone was fine by the way. The event starts at 9.30pm. 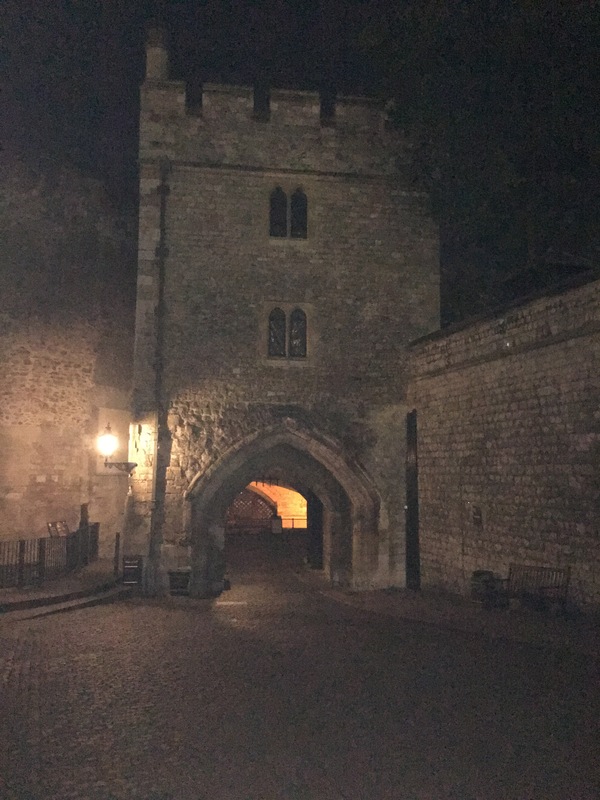 You are led by a Beefeater through the entrance gate to stand by Traitors Gate where the ceremony is then described. We were told that the ceremony has never been filmed and that no photos are allowed during the official bit. So sorry! The ceremony is very theatrical, there is a script. A lot of “Who Comes There” and “The Keys”, “Who’s Keys”, “The Queen’s Keys”. Lots of marching and attentions. A big lamp, an eclectic mix of uniforms. A big bunch of keys. Obviously! The whole thing lasted 40 minutes. It was wonderful! I really enjoyed the pomp and ceremony of it all, the history of it. 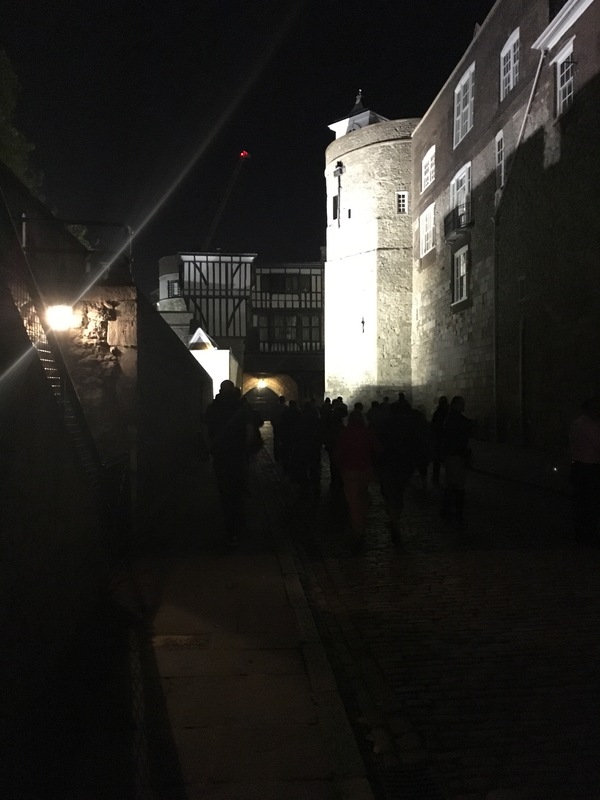 It was amazing to stand by Traitors Gate in the darkness looking over to the Blood Tower wondering if the ghosts were looking back! 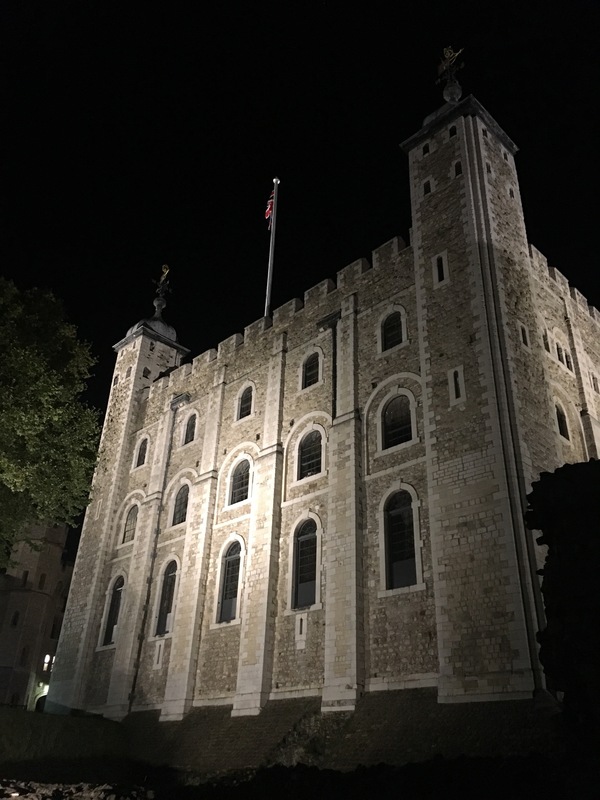 It felt like an honour to be standing in the grounds of this magnificent building out of hours and watching this ceremony that even happens on Christmas Day. 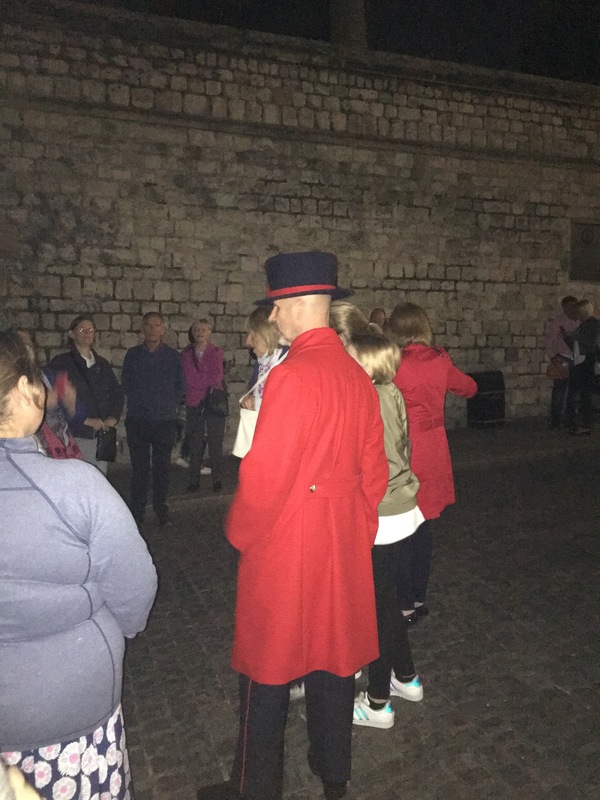 And it’s always fun to spend time in the presence of a Beefeater, they have a particular type of humour, it’s very English! If you haven’t done the Ceremony of the Keys then I must urge you to find a way! It was fascinating and definitely worthy of building into a weekend away. 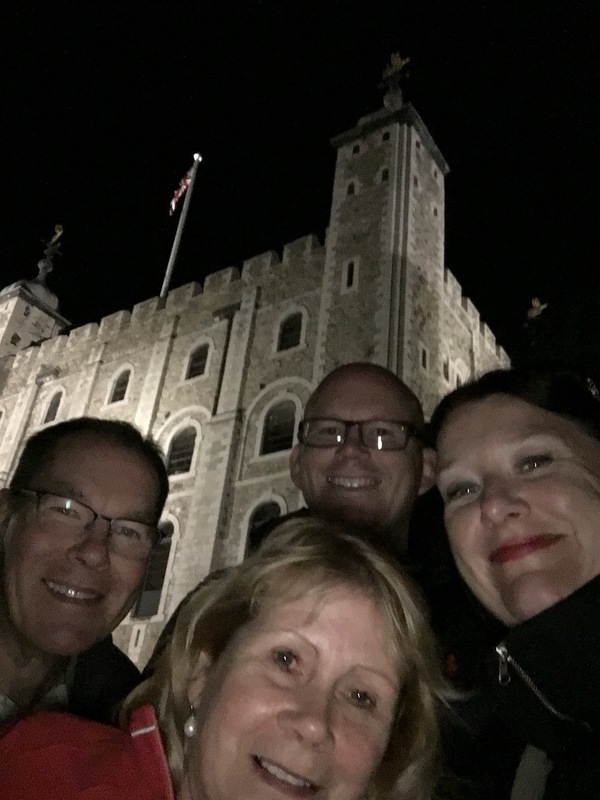 It was our favourite part of our weekend which included a trip to Buckingham Palace! I got my tickets from Amazon tickets. 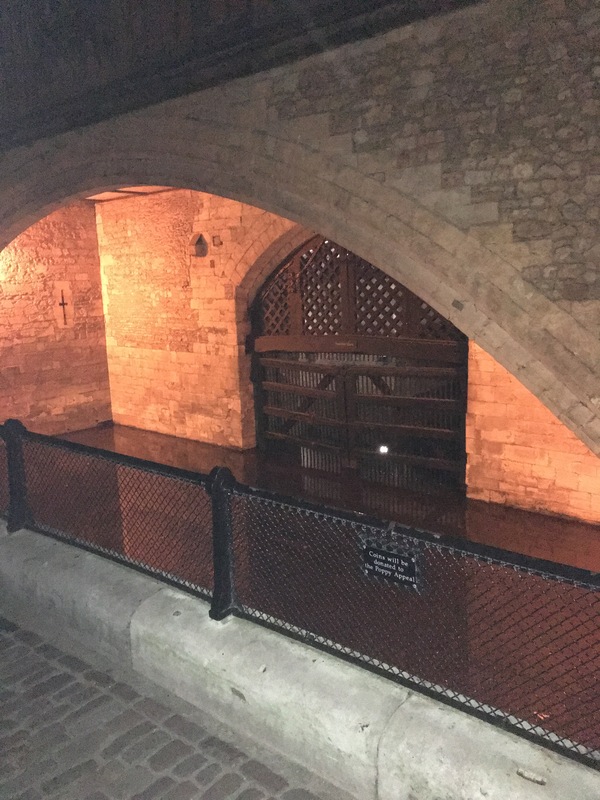 They cost £1 to cover an admin fee. So not only is it brilliant but it is effectively free!